Do you have a kitchen on the smaller side? Not to worry! You can do a lot with just a little space. 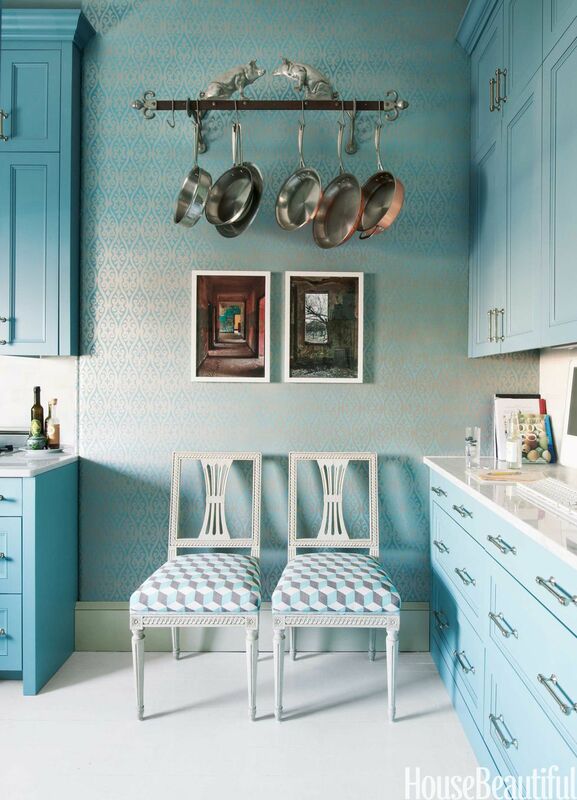 Check out these top spacing-saving tricks to make the most of your smaller kitchen. 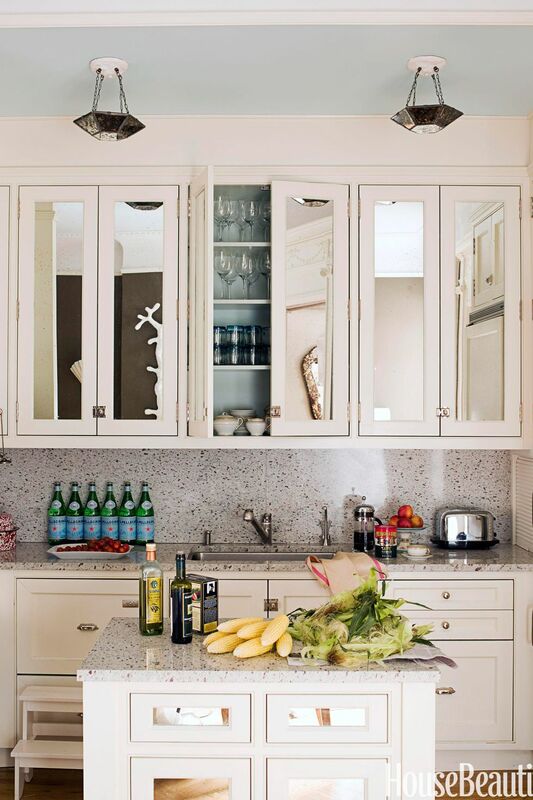 Antiqued mirrored glass on cabinet doors enlarges smaller kitchens while maintaining a beautiful and unique look. To save room in tiny spaces, install ceiling-high cabinets with high-gloss paint. This works especially well if you have tall ceilings but low square footage. This draws the eye up and takes advantage of height for storing items you use less often. Baskets and trays are very homey and useful, not just for carrying things but also to organize collections of similar items. They look great and keep everything clutter-free when counter space is at a premium. No room for a pantry? 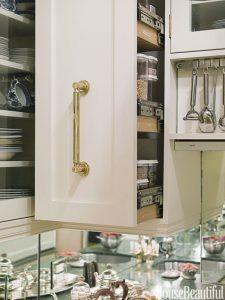 Make use of vertical space with the “pantry” for dry goods consisting of cabinets that slide out over the countertop. Bins for trash and recyclables can similarly pull out of base cabinets beside the sink for convenience and hidden functionality. 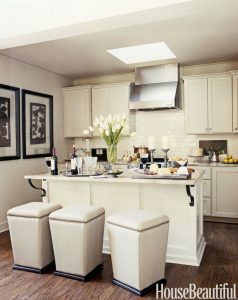 A trio of backless stools can be slipped under the counter to save space. In this case, their cream color blends in with the island, unifying the room. Open shelving and no upper cabinets make kitchens look larger. Replacing dark cabinetry and tiles with white cupboards and light toned backsplash makes smaller kitchens feel twice as big. Try using dual purpose furniture, in this photo, a slim white table provides extra counter space and doubles as a breakfast nook. A hanging pot rack can free up valuable cupboard space. They have the added bonus of a whimsical look! What was your favourite? 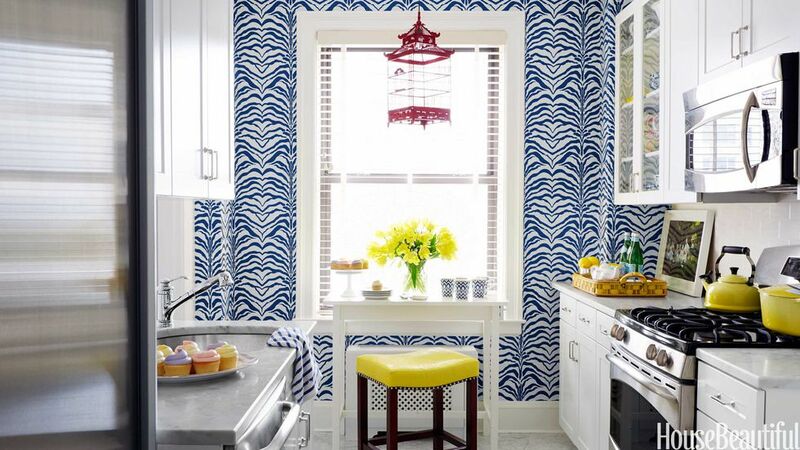 We hope we gave you some inspiration for your small kitchen! There are a number of ways to ‘green’ your garage and create a more eco-friendly place to store your automobiles, sports gear, outdoor equipment, gardening, home projects and work tools. We have come up with some simple green strategies to ensure you and your family can enjoy a safe, green garage space. 1. 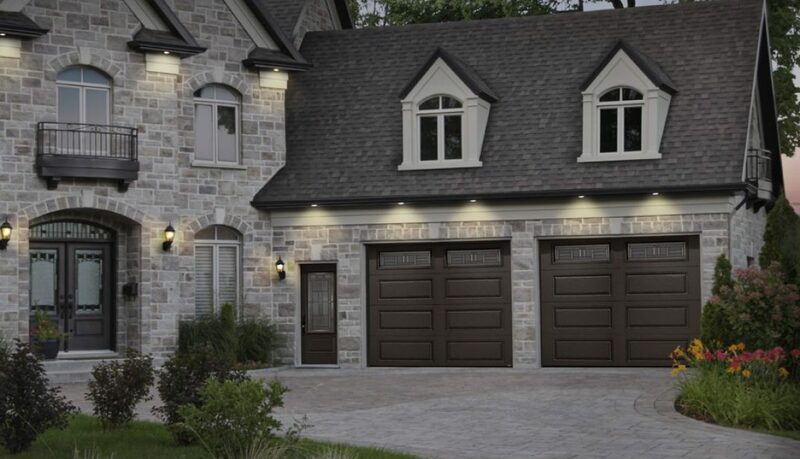 When deciding on building materials for your garage think green and look for energy-efficient windows and doors, renewable and sustainable materials, insulated doors, light timers and sensors and low or no-VOC paints. According to the EPA, indoor air quality is considered one of the top five hazards to healthy home living and the paints you use contribute to that. 2. An environmentally conscious way to conserve water consumption in the garage is to collect rain water from the roof of your garage in a rain barrel and use it for washing your car, your dog or cleaning your garage. 3. If you’re thinking about placing an additional refrigerator in your garage, you may want to reconsider. Refrigerators consume quite a bit of energy, especially when they are working harder to compensate for the damp temperature in your garage. Unless you have a really large family or do catering out of your home, having a refrigerator in your garage is a luxury you can live without. 4. If your garage is attached to your house, you’ll want to make sure that your garage door is insulated to cut down on energy costs. Depending on your budget, you can purchase a custom-made insulated garage door or you can do it yourself. A great way to cut down on drafts is to weatherstrip the door that leads from your garage to your home. 5. Don’t store hazardous materials your garage, because the fumes can leach through the ceiling into your home. If you seal your garage correctly, then you are trapping the fumes from the chemicals in your garage and home. The smartest solution is to store them in a shed away from the house. As perhaps the most traveled area of your home, your kitchen’s flooring needs to be carefully chosen. Not only does it need to withstand persistent foot traffic, but it should also stand up to the burden of spills and have the strength to endure dropped pots and pans. Since this is a room where strength and durability are key, you definitely want to pick a suitable flooring. With the options available today, your kitchen can feature anything from a sturdy bamboo to a majestic hardwood. Have a look at some of these fantastic floors that will hold up to your kitchen and look great doing it. 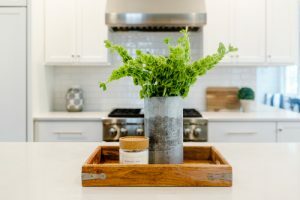 This seems like the obvious choice, but plenty of people are wary of investing in hardwood flooring for their kitchens considering the damage that can be done to them. When you choose hardwood for your kitchen, you want to try to find a species that has a higher Janka Rating, which measures its durability against wear and tear. You can also protect your kitchen floor against water damage by making sure that it is properly sealed and finished. Prefinished flooring is especially hardy, but it can also have very small gaps between the planks compared to floors that are finished on site. Choose what you think is best for your situation, and remember that one of the great things about hardwood is that it can be refinished several times to renew its appearance. Laminate flooring is a great solution for kitchens. With so many looks to consider, from different colors to floors with a natural wood grain detail, you will have a harder time deciding on which kind to install than you did when trying to figure out what should line your floor in the first place. Laminate flooring is made to look like beautiful, natural hardwood, but the best thing about it is the no fuss, no muss upkeep. 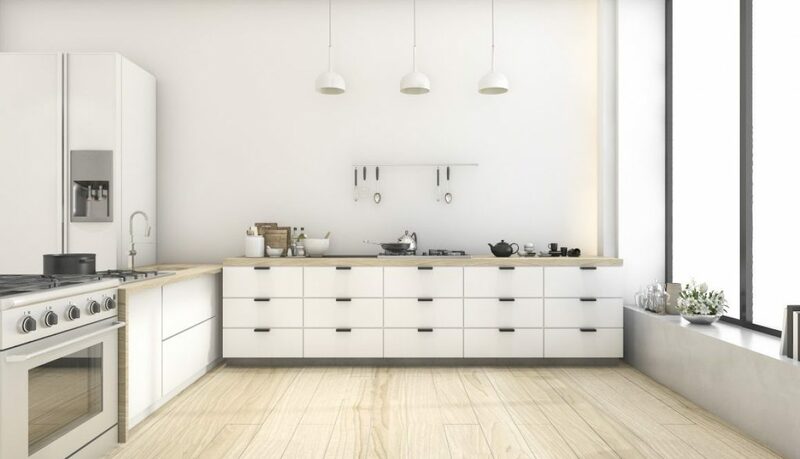 Resistant to scratches and stains, this might just be your perfect kitchen floor. Laminate also resists regular wear and fading, so it will look fantastic while providing the durable flooring you need. In your kitchen, cork doesn’t have to be just for wine. Cork flooring is amazing because it is a natural, renewable product that is harvested from living trees without damaging them. It also has a cushiony feel that makes it a great choice for any room where you intend to do a lot of standing. Cork is also a practical choice for your kitchen. It is very simple to clean in case of mishaps. Just make sure that it is properly sealed to protect against water damage, and cork will repay you with years of comfortable cooking. Like hardwood, cork can be refinished, so you can refresh the floor if it starts looking a little worn. Bamboo flooring is very popular nowadays, and it is finding use in every room. The main reason for this skyrocketing popularity is its highly renewable nature, but it is also a great option where durability and value are concerned. Bamboo labeled “strand” has been produced under intense heat and pressure to yield supremely hardy flooring, so it can stand up to what your kitchen has to throw at it. You can also choose handscraped and other distressed types to help disguise any damage that your floor eventually develops, but be assured that it will look amazingly aged rather than sadly worn. Bamboo is the best of both worlds—it has the natural beauty and durability of hardwood, but it is also highly renewable—so it will integrate seamlessly into your kitchen while giving you peace of mind. Building a new home is both a rewarding and challenging venture, particularly when it comes to deciding on which windows to use. In new home construction, consumers will spend 15% or more of their home building budget on windows and doors. 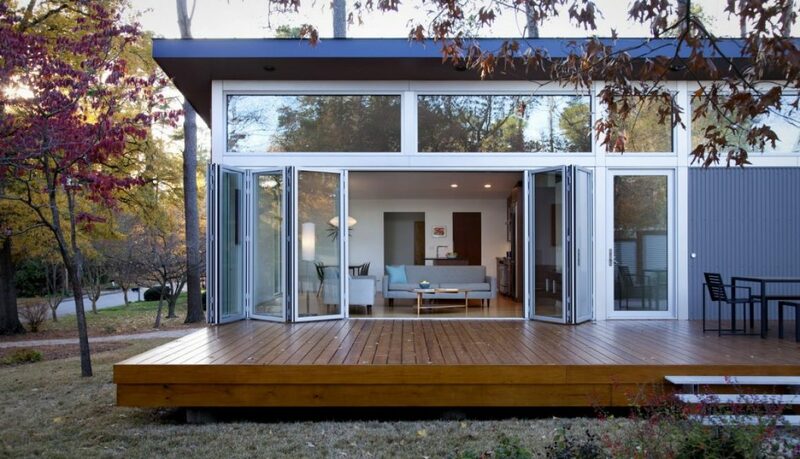 While aesthetics are certainly at the top of everyone’s list when searching for windows, they also provide warmth, light and energy efficiency. Being well researched is the key to taking the stress out of selecting the right windows for your new home. 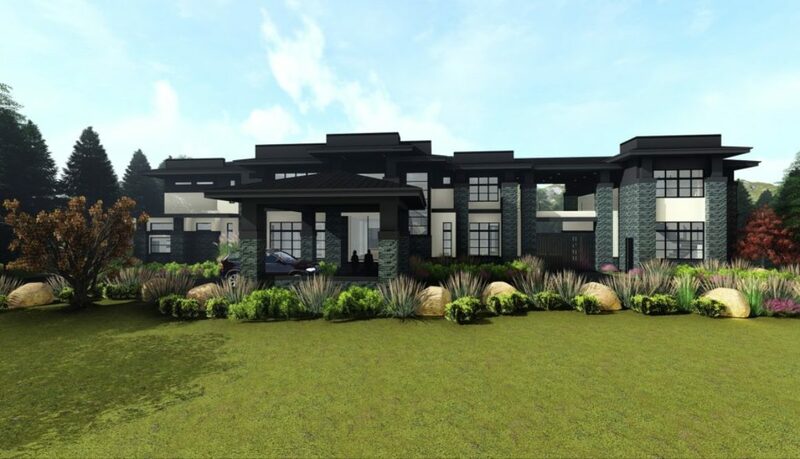 You’ll want to take time to speak with window dealers, builders, architects and designers to see what they would recommend for the size and style of home you are building. Learn as much as you can about the various options, styles and energy-efficiency packages offered by leading window manufacturers. Since windows are one of the most visible features of your home, you’ll want to make sure that the windows you select are complementary to your home’s architectural style. Work closely with your builder to select the style, size and shape of windows. Make sure that you consider what your windows will look like from the inside and outside. For added durability and low-maintenance consider fiberglass, aluminum or vinyl on the exterior and wood on the interior. If you opt for a wood interior frame, take into consideration your cabinetry, flooring and overall decor so that it matches the design of your interior. 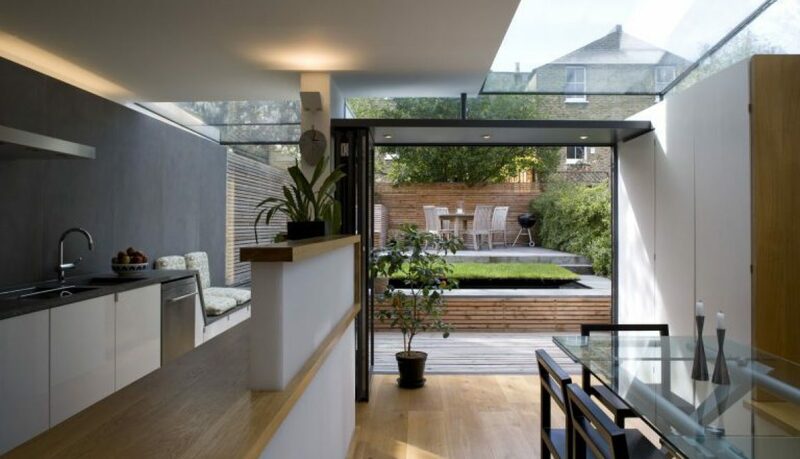 A popular trend is to incorporate a wall of windows into the home design that mixes fixed and operable windows to maximize light, efficiency and of course, take advantage of the view. With so many styles available, take advantage of mixing and matching so you can maximize natural light and enhance curb appeal. If you’re looking to save money you should select standard-sized windows that offer the highest efficiency and quality for your budget. However, if money is not a major consideration and you really want to set your home apart from your neighbors, try customizing your windows with some creative upgrades like interior wood frames, grilles, between-the-glass window fashions and premium screens. And don’t forget to take advantage of energy-efficient upgrades like frame construction, glass options, insulation and sealing. Almost every window manufacturer has an ENERGY STAR® rating, but make sure they include the latest energy-efficient features like triple-panes, a high R-Value (the higher the number the more efficient the window), low U-Value, low emissivity (Lo-E) coating and argon gas-filled panes to ensure maximum insulation and efficiency. For years of peace of mind make sure that you research the warranties, which is why it is wise to purchase from a reputable window manufacturer that has solid product warranties. Be sure to read the fine print for exceptions! If you want to add an extra point of interest to your home, have you considered embellishing your ceilings or vaulted spaces? Wood beams are the perfect solution when you want to add a little oomph to your interior, whether you’re starting from scratch or looking to build on an established design. You might think that beams have to be drawn into house plans or at least considered during the construction process, but that definitely isn’t the case! 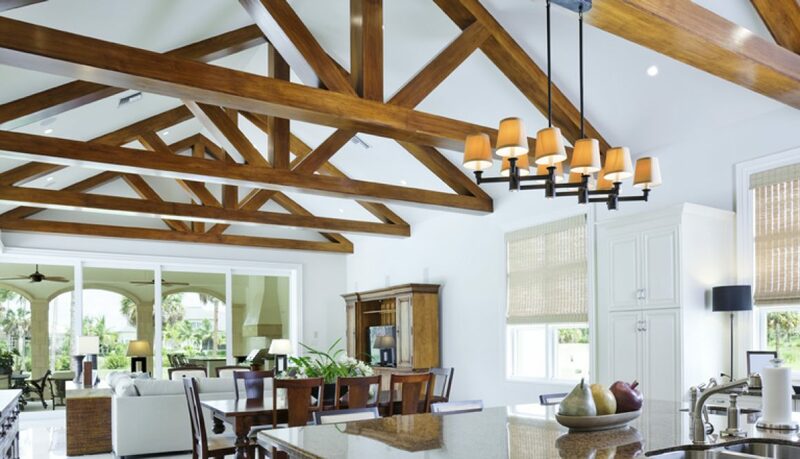 The realm of possibilities is wide when it comes to overhead beams, so be ready to let your imagination create a custom look for your home. While exposed wood beams have a history in traditional architecture, nothing’s stopping you from including them in more modern designs. As the structural necessity of large, visible beams diminished with more efficient building techniques and products, they naturally became obsolete and ceased to make a statement in most new construction, but our appreciation for them never really declined. In fact, you’ll find there are plenty of people who go out of their ways to buy or build a home that shows off beams in finished spaces, no matter what style they like. Once you’ve established that you want beams, spend some time thinking about how they should look. Perhaps a rough, hand-finished appearance would be fitting for a woodland cottage. Something more polished or cut with precise machinery is the natural choice for the updated, contemporary genre, but it isn’t always an automatic association; older homes with updated interiors look great with refined beams, and there are plenty of staunchly modern designers who seek out the most rustic option available to offset the rest of their design. The great thing about overhead beams is that they’re in a layer of their own, so they aren’t in a position to compete with your décor and you can really go with what you like! What you can do with your beam design depends on what you have to work with. If you have standard height ceilings, you can lay beams in a horizontal striping or crisscrossing lattice pattern. Be sure to take the shape of each room into consideration—a simple square layout that lines up with the walls is classic, of course, but you can tilt the angle of the pattern to better fill in hexagonal or octagonal nooks. The less-is-more approach is also totally viable if you feel like this would crowd your ceiling; just pick a single beam to run across the space and it will make its own statement, mimicking an old-fashioned main support that you typically see in houses that are at least a century old. Vaulted ceilings create wide-open spaces inside, so you have a greater opportunity to accent with beams. 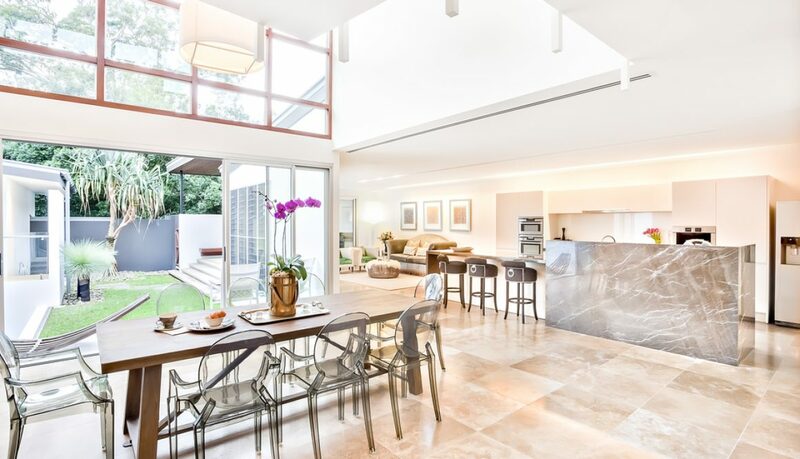 Some prefer to keep that airy ambiance and focus on arranging them flush against the ceiling, and in this case, the natural choice is to install a beam across the highest point like a main support, and if that isn’t enough, to radiate more down the sloping wall(s). This is essentially what the space would look like during framing, so it is a fantastic architectural highlight to consider. If you would like to fill some of that overhead space, build a truss system instead. The possibilities are potentially endless, as you can design your own pattern! These wedge-shaped frames fit into a pitched ceiling and the beams can be arranged to create all sorts of looks. Something with large, simple triangles of negative space better suits modern, open floor plans in any type of home, while older and more rustic styles are complemented well by thicker beams and intricate designs that might even include obtuse angles—something that old-fashioned craftsmen would be proud to show off. In any case, a truss system uses repeating elements to give structure to emptiness, and it allows you to instill some personality where it wouldn’t exist otherwise. If you think overhead beams would be a great addition to your home, you’ll be glad to know that synthetic beams make it easy to install them where they aren’t already detailed in your house plans! Most houses no longer use visible beams as load-bearing supports, and that allows you to select lightweight, less expensive materials to serve the aesthetic function. With a little guidance from the professionals, you’ll be well on your way to building a more unique home with an amazing design from the floor to the ceiling! Don’t be unprepared when you start looking for your new kitchen appliances. There are tons to choose from and it can be overwhelming if you don’t already know what you want. Before you shop, know your needs, style preferences, and budget. Here are some helpful tips to get you off to a good start in choosing ovens, cooktops, ranges, refrigerators, ventilation systems, and dishwashers for your kitchen. Your appliances should blend with the design of your kitchen. You can order appliances that are specifically designed to be built into your cabinetry and paneled to match your kitchen décor. Stand-alone appliances can also make a decorative statement. A fancy decorative vent hood is not only useful, but can create quite a classy look in your kitchen. Appliances in stainless steel or brushed chrome make a big restaurant quality impression and keep the kitchen bright and open feeling. Placement of the appliances will need consideration in your kitchen design plans. Where they are will affect the cabinetry, counters, and any utility requirements the appliances need, such as electric, gas, or water. There are several styles available for your appliances. You can get built-in, paneled, freestanding professional-style, freestanding restored or reproduction antiques or standard freestanding models. Stainless steel appliances are neutral and do tend to keep that new look much longer with care and it works very well in all styles of kitchens, from Old World to contemporary to Mediterranean to traditional. Brushed chrome is the latest new trend and is considered equal to stainless steel, but is a little easier to keep clean. A quick helpful tip for those of you who do choose the stainless steel: many people fear stainless steel because it is very difficult to keep clear of fingerprints, but with a very light coating of lemon pledge every once in a while, it will resist prints for up to a week without wiping. To get that professional or restaurant feel to your kitchen, know ahead of time that it will be costly. Increasing the normal cooking and storage capacity of your kitchen, as well as adding fancy exteriors, can almost double the average cost. Commercial units that you find in restaurants are not rated for use in a residential kitchen because they have special venting requirements for safety. 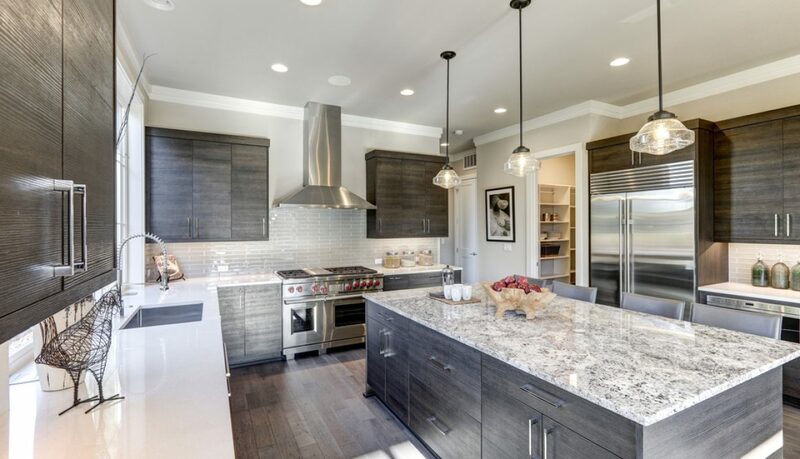 Pro-style appliances are available to give residential kitchens the next best thing. You can get that restaurant quality of greater durability, more precise cooking, and spiffy exteriors and still have a safe kitchen. Some people are avid chefs and spend a lot of time in their kitchens for the love of cooking and food, so some extra cost now may save a lot of frustration in the kitchen later. 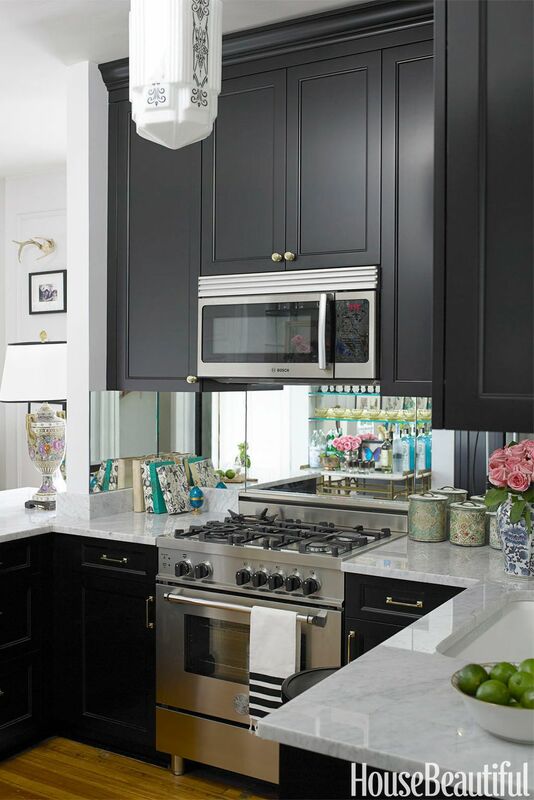 When it comes to your stove, you can make a big statement by buying one that has bright colored knobs or a 1930s-style range complete with porcelain enamel surfaces accented with nickel-plated trim. 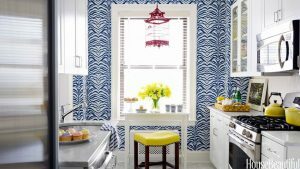 Knowing the look you want will narrow your search rather quickly and set you on course for the more important task of determining what you need from your appliances to effectively and efficiently run your kitchen. You should be able to increase your cooking speed and precision with the appliances you choose. Consider whether you need a pro-style or standard kitchen and if you will need gas or electric. Also consider where will they be located in your kitchen? Know in advance if you need more cooking capacity and capabilities or if you spend less time in the kitchen and can be happier with the standard features of a less costly model. What are the differences between pro-style and standard? With a pro-style range, you will get four or more burners with at least 15,000 BTU. A standard range has burners that range from 5,000 to 14,000 BTU. In many standard models, you will get a boost burner most commonly found in the front right hand that will get hotter than the others, for instance it will boil water much quicker than the other burners and a simmer burner that will go down to a lower BTU than the others to keep sauces warm without burning. Pro-style often has cast-iron continuous grates where standard has individual steel grates over each burner. Pro-style usually has large control knobs, but standard will have smaller knobs or a digital control panel. Pro-style ovens will have more oven racks and space, measuring 36 to 60 inches.While standard is a 30 inches. Gas allows for more precise temperature control than electric. Electric tends to be lower cost and offers the sleek glass ceramic surface. The ceramic surface is much easier to clean and keep clean than gas burners or electric coils. You have some options available on the placement of your oven. You can go with a cooktop that can be placed separately from the oven, you can choose a range that has both the oven and cooktop together, or you can have a wall-mounted oven. 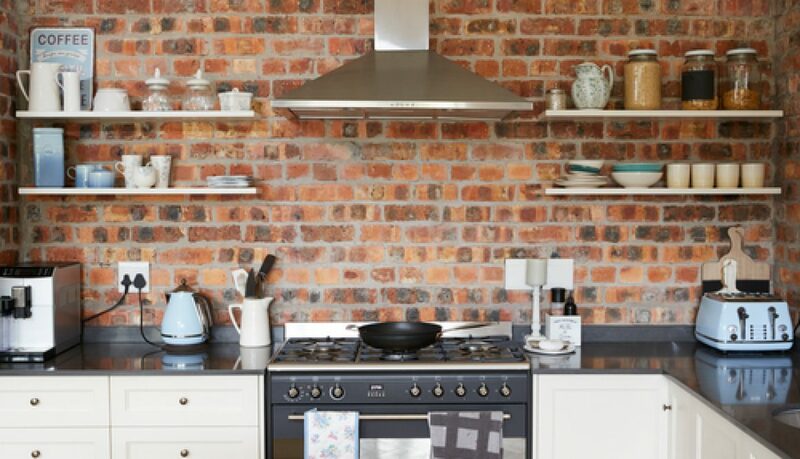 To save space and allow more cooking at one time, you can opt for two wall ovens. 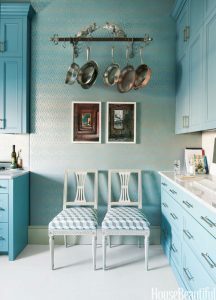 They can be placed one on top of the other, side-by-side or in two completely different areas in the kitchen. If you do not use both of the ovens on a regular basis, consider purchasing one of them to use as a combination oven. A combination oven is both a microwave and convection oven. You can now read the energy efficiency rating of all new major household appliances when you are looking at them on the sales floor. The Federal Trade Commission requires the bright yellow and black Energy Guide labels to be displayed with the annual energy consumption and operating cost information of each appliance. It can’t hurt to take time to find ways to make your appliances more accessible, like raising your dishwasher so you don’t have to bend down to load and unload it. Check out all the wonderful options available like warming ovens, refrigerators and dishwashers. If you’re a pizza lover you might enjoy creating a crusty pizza pie in a pro-type brick oven or if wine is your passion you might want a beverage chiller or storage unit – some even come with a cigar holder. If you’re considering a trash compactor, consider moving it to the garage to free up space in the kitchen. You’re building your dream home but you want to be prepared just in case you need to sell it in the future. There are many ways to improve your home’s resale value from the very start. Not only will these upgrades drastically improve your home’s resale value but they can also benefit you while you are living in your home. Here are some of the elements that are high on potential homebuyers wish lists. You can’t go wrong spending on energy-efficient building materials or appliances no matter what project or upgrade you are considering. More than ever, homebuyers are moneywise so if you can make your home more efficient, you should. You can build a home that is ENERGY STAR® rated for your area. Or you can invest in building materials that will aid in your home’s energy efficiency. From doors and windows to roofs and appliances there is an energy efficient solution for every aspect of your home. Don’t forget that potential homebuyers will be entering your home through the front door. A front porch, portico or overhang to shelter arriving guests from the weather can mean a lot to an interested buyer. 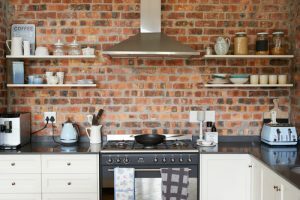 The kitchen is one of the most popular rooms in a home and it is no surprise that renovating or upgrading your kitchen will earn back most if not all of your investment. Consider adding things like high-end tile floors, premium appliances, islands, and undermount sinks to attract attention and increase the value of your home. One thing that is consistently popular with homebuyers is hardwood flooring, especially as your home’s main flooring. Hardwood floors are durable and can be easily sanded and refinished should you decide to sell your home. Finished basements tend to rank high on buyer’s wish lists. If you are building a new home, considering insulating the basement so that it adds to your home’s living space. A finished basement could become a rec room, or maybe even a spare bedroom depending on your home’s layout. In recent years the master suite has become an oasis for homeowners. Master suites can include things like fireplaces and sitting areas as well as spa-like bathrooms. Giving your master suite little luxuries such as a whirlpool or air jet tub, separate tub and shower, or a rainshower head are upgrades that you and any future owners of your home will enjoy. Heated floors and double sinks are other features that potential homeowners love. When you are building your new home, an open floor plan that has a sense of flow is a must amongst choosy home buyers. Landscaping can make or break a home’s curb appeal. Tangled trees and vines can obscure street views and even darken your home’s interior. Investing in your landscaping is a place where you could see the biggest return. Properly maintaining and manicuring your home’s lawn isn’t difficult and really helps at the time of resale. Making sure the trees around your house are in optimal health could save you and future homeowners on home repairs. Thinking about your home’s lighting can improve its resale value drastically. Windows are a large part in making sure your home is effectively sunlit and attractive during the day. For the evening hours considering adding light switches with dimmers to increase efficiency and adjust the mood at night. You can also adjust the atmosphere in your home through careful lighting choices. High-output bulbs make your small spaces feel larger, whereas lower wattages will give a warmer feel. Once you build your home, be sure you address the basics of home maintenance consistently. Maintain exterior surfaces, repair plumbing leaks, inspect your furnace and septic systems and check your windows and doors regularly for leaks. These tasks maintain value and prevent costly repairs or surprises later. Making sure all your home’s systems are in top working order matters. Buyers will want all of these systems to function correctly and keeping them that way from day one is not just good for your home’s energy efficiency but it is a big advantage in the market. As you build your new home, remember that your home is your most valuable asset. Making initial investments that will increase resale value are always a good move but they alone are no replacement for regular care and maintenance.